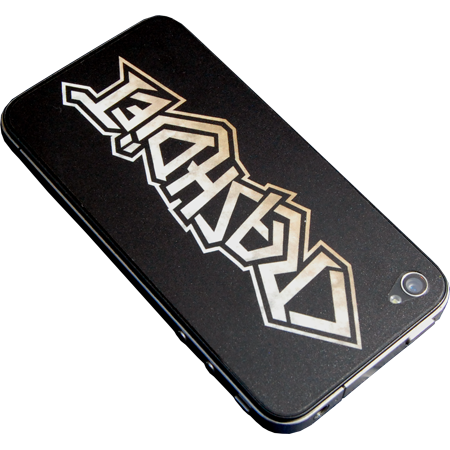 A sticker that fits perfectly on your iPhone 4 / 4S! Makes your phone look awesome (just like mine, it's the one on the picture :P). Very easy to apply, even I could do it. *phone not included* :). Awesome sticker! Fits my phone perfectly. Yes, I still have an Iphone 4. :). Perfect product to sleaze up your iPhone and make it look awesome! Great quality and easy to apply.